Rare Bird Books, a Vireo Book, 9781945572425, 448pp. When the Revolutionary War begins, Guy Watson is a slave to the Hazzard family in Rhode Island, but he is soon engaged in service for the American army by Samuel Ward, head of one New England's most prominent families. Torn about leaving his beloved June and the other slaves that have become his family, Guy eventually sets out with Samuel Ward and a battalion of men on a treacherous, and legendary, trek to Quebec. The two men experience the inevitable toll the brutality of war takes, and it changes them forever. Upon their eventual return home, they come to realize the cost of war not just for those in battle, but also for those who stayed. 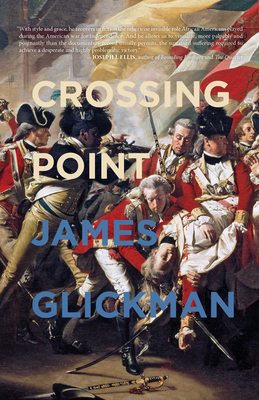 Crossing Point vividly shares a little-known chapter in the national founding, and raises the question of what justice was fought for by the men who faced an uncertain freedom when the last shots were fired.